Briefing: Create awareness for the international race event ltaipava Sao Paulo Indy 300. 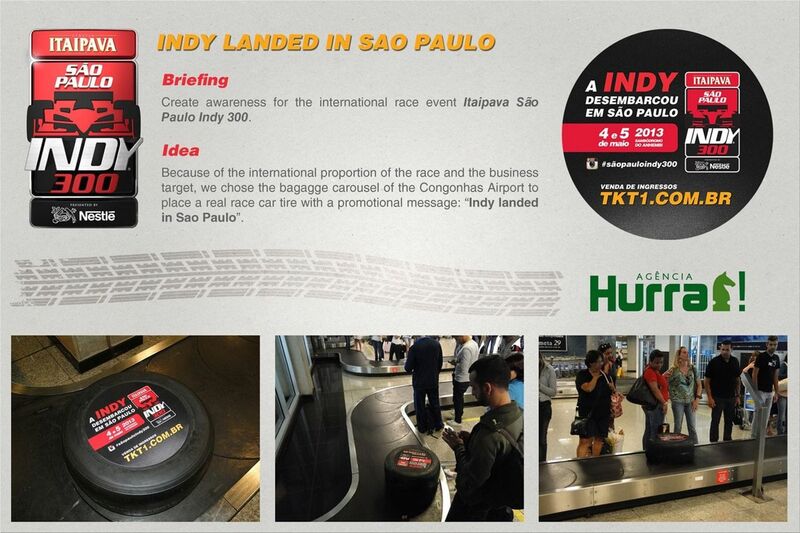 Idea: Because of the international proportion of the race and the business target, we chose the bagagge carousel of the Congonhas Airport to place a real race car tire with a promotional message: “Indy landed in Sao Paulo”. MINI Cars Become Toys. Wind It.